Please click here to read the October 2018 issue of our Digital Newsletter, as a complimentary service to our advertisers. We love to share news and updates from our advertisers! Simply email our News Desk and we will create an online article for you, which appears automatically on this News Feed and our Smartphone Service and is also featured in our Digital Newsletter. Furthermore, articles related to each company are linked to the relevant company profiles, providing extra promotion and a helpful insight into each company which raises confidence and increases business. Our online directory continues to expand every week and you can see a constantly growing list of new advertisers on our homepage. Don’t forget our fabulous feature inspired by the fact that ratings are now an essential element to any online directory. 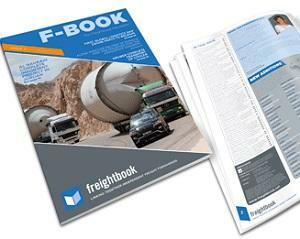 If you’ve worked with a fellow Freightbook advertiser, give them a rating! We’ve made it super quick and easy to share feedback – see our Ratings page for details.